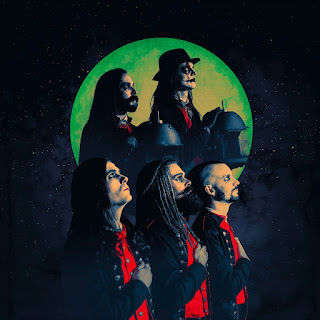 Sweden's finest AVATAR have announced new North American tour dates today in support of IN THIS MOMENT and MOTIONLESS IN WHITE on the 'Half God Half Devil' Tour. The tour begins Friday, April 7 at Milwaukee, Wisconsin's Eagles Ballroom and then continues through mid-May. "We've got many friends in the United States nowadays and we feel like making some new ones," says frontman Johannes Eckerström. "We are grateful for this opportunity to hit the road. I believe this will not only be a chance to meet all our faithful Avatar Country-citizens once again, but I think there will be a busy day on our embassy following this." "It's funny that the one I look forward to the most to perform in front of this time is YOU, who won't be reading this as you don't know who we are yet. Boy, oh boy are you in for a treat... It's on." 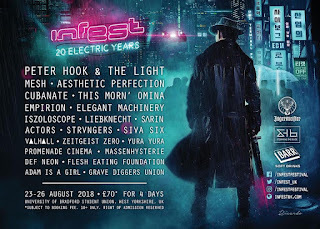 AVATAR will also make appearances at a number of highly coveted hard rock festivals, including Chicago's Chicago Open Air (Saturday, July 15), France's HELLFEST (Friday, June 16) and Belgium's Graspop (Saturday, June 17). A special BLABBERMOUTH.NET presale will begin on Wednesday, February 8 at 10:00 a.m. EST and end on Thursday, February 9 at 10:00 p.m. EST. When prompted, type in the presale code "ITMBBM" to access tickets before the general public. The general onsale is Friday, February 10 at 10 a.m. local time. TAKING BACK SUNDAY Debuts "Call Come Running"